This entry was posted in Weekly Photo Challenge and tagged Ancient City Wall in Xi'an, China, opposites, postaday, riding bicycles on the Ancient City Wall in Xi'an, scene on the Ancient City Wall in China, weekly photo challenge. Bookmark the permalink. Thank you! 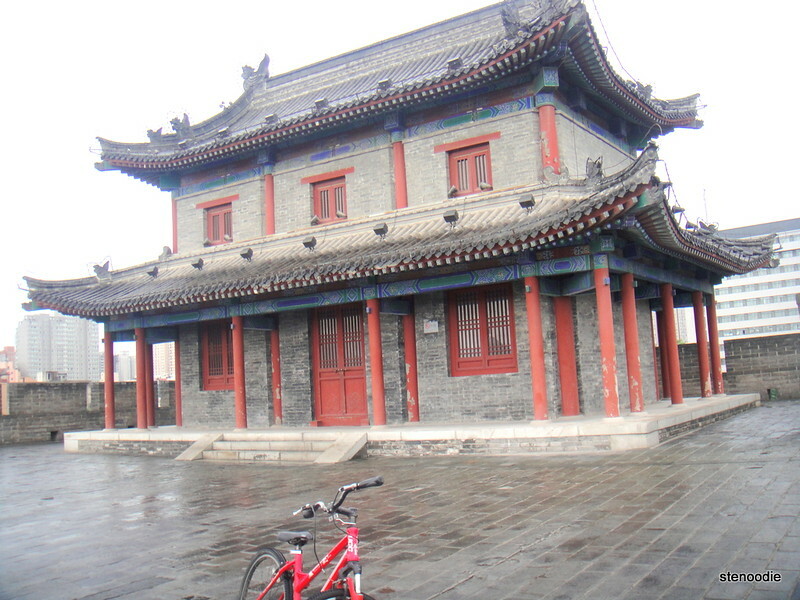 I really enjoyed Xi’an. That’s where the Terra Cotta Warriors museum is too! Just been to China and didn’t see Xi’an but will definitely see it in my next trip. Thank you for sharing that! What’s the DISCOVER Group? The photo is lovely. There are so many opposites and paradoxes in China. It is one of the youth programs put together by the Mon Sheong Foundation and Mon Sheong Youth Group where there was a 6-month development program for Chinese Canadian youths to learn more about Chinese culture, leadership, volunteerism, and then culminated in a two-week trip to China. “DiSCOVER 2013” was the name of the program.